This apartment is in the Adobe Meadow - Meadow Park neighborhood in Palo Alto. 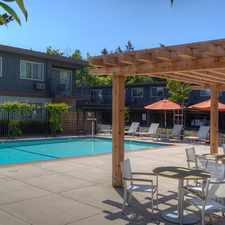 Nearby parks include Mitchell Park Community Center, Mitchell Park and Ohlone Playground. 711 Mayview Ave has a Walk Score of 59 out of 100. This location is Somewhat Walkable so some errands can be accomplished on foot. Palatial Castilian style single family home with 5 bedrooms, 3.5 bathrooms, and a whopping 2795 sq. ft. of living area. This home boasts of a well-maintained front lawn and a spacious fenced back yard perfect for entertaining. This home is even lovelier inside, with bright, sun-drenched interiors compliments of the huge arched windows, sky high vaulted ceilings with recessed lighting, and a commodious great room with fireplace, and pristine hardwood floors. At the heart of this home is a sizeable kitchen, with stainless steel appliances and lots of cabinet space for storage. All bedrooms upstairs have plush wall to wall carpeting. The masters bedroom has an ensuite full bath with a jetted tub. There's an in-unit washer and dryer and additional cabinets in the laundry room. Centralized airconditioning and gas heating available for your comfort. Pets are definitely allowed with no deposit. 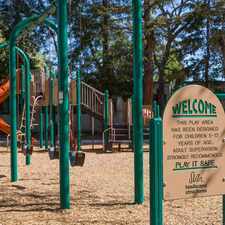 Nearest Parks: Mitchell Park Community Center, Mitchell Park and Ohlone Playground. Explore how far you can travel by car, bus, bike and foot from 711 Mayview Ave.
711 Mayview Ave has some transit which means a few nearby public transportation options. Car sharing is available from Getaround and RelayRides. 711 Mayview Ave is in the Adobe Meadow - Meadow Park neighborhood. Adobe Meadow - Meadow Park is the 17th most walkable neighborhood in Palo Alto with a neighborhood Walk Score of 52.